William Light Education is an organisation focused on developing and providing world leading health education. We seek to increase the knowledge and skills of the health workforce with cutting edge practical courses driven by evidence and best practice. We work collaboratively with partners who have specialised expertise in a range of health fields and health education delivery. Mr Greg Black has had a distinguished career in education. Greg has been a Director General of Education, Chief Executive of the Department of Further Education, Employment Science and Technology and Chief Executive of Australia’s technology in education and training corporation (now known as Education Services Australia). He has been a board member of national bodies responsible for accreditation and quality in higher education and vocational education as well as in schools curriculum, science education and national enquires into literacy and STEM. His other board engagements have included in the acquaculture, professional football and land development industries. Greg has worked as an advisor and change leader in the UK, Malaysia, Afghanistan and the UAE as well as being a semi-professional sportsperson. His current interests include the application of cognitive neuroscience to teaching; pedagogy around employability skills and trialing new methods to enhance capability building of educators and senior administrators in developing countries. He has degrees from the University of New South Wales and Adelaide University and is a 20 year Fellow of the Australian Institute of Management and Member of the Australian College of Educational Leaders. Debbie commenced working at William Light in 2013 following a long career in clinical nursing and nursing education. Debbie has 20 years experience as a critical care nurse at Flinders Medical Centre in South Australia. 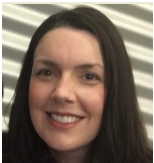 She has worked in nursing education in the hospital and tertiary sector for over 10 years including undergraduate and postgraduate nursing and 8 years as joint coordinator of the Flinders Medical Centre/ Flinders University Graduate Certificate in Critical Care Nursing. She has a Masters of Nursing from Deakin University and a Master of Public Health from the University of Adelaide. Debbie enjoys working in a stimulating creative team environment. Frank Guerriero has a long history of working in wound-management related specialties. Endorsed as a Nurse Practitioner with the Australian Health Practitioner Regulation Agency (AHPRA), Frank currently works with the Department of Vascular and Endovascular Surgery based at Flinders Medical Centre; a role which entails both clinical and research activities. Frank is the current President of the Australian and New Zealand Society for Vascular Nursing, a committee member of the South Australian Society for Vascular Nursing and past president of the South Australian Wound Management Association (SAWMA), now Wounds Australia. He also holds a long history of teaching and education, as Clinical Lecturer for several of Adelaide’s tertiary universities and Guest Presenter for an Adelaide community nursing service. He has a Masters of Nursing Science in addition to his Bachelor of Nursing from the University of South Australia. He also has a Graduate Diploma in Occupational Health and Safety Management from the University of Adelaide and a Diploma in Project Management. Trish has been a Registered Nurse for over 20 years working predominantly in acute care in the fields of paediatrics and emergency nursing at Flinders Medical Centre in South Australia. During the last 10 years, she has moved her focus to adult education and clinical support, specializing in hospital-based training programs in surgical nursing specialties, clinical simulation and the development of online learning modules. She has a Master of Clinical Nursing (Paediatric Studies), a Certificate IV in Workplace Training and Assessment, and holds an interest in Instructional Design. Trish enjoys the challenges of developing blended program delivery to achieve optimal educational outcomes for participants.